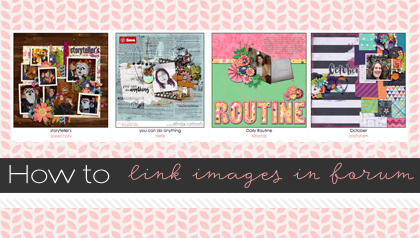 Welcome to the world of digital scrapbooking! Many people that digital scrapbook started with traditional paper scrapbooking and then become interested in scrapbooking their memories using their computer. But, a large segment of digital scrapbookers have never paper scrapbooked and they see digital scrapbooking as the perfect way to preserve their memories and unleash their creative spirit. Digital scrapbooking has many benefits over paper scrapbooking: there is no waste of product, no need for a whole craft room for storing supplies, no mess, and the cost to create a layout can be extremely low because digital scrapbooking kits can be used over and over again. Digital scrapbooking can also be used in combination with paper scrapbooking and card making. Titles, papers, and elements can be printed out and used on paper layouts. This is called hybrid scrapping, which is a wonderful combination of paper and digital techniques. Digital scrapbooking requires a computer program that will allow the user to edit and arrange scrapbooking papers, embellishments (also called elements), and photos. Programs fall into three basic categories: limited basic scrapbooking programs, mid-level basic scrapbooking programs, and full-featured scrapbook and photo editing programs that will allow you more creativity. The limited basic digital scrapbooking programs are typically designed to work with a small select amount of scrapbooking layout kits provided by the program manufacturer. Some will not have the ability to use transparent .png files. This is problematic because all the embellishments and the alpha of a scrapbooking kit are .png files. Some of these programs do not allow the user to add shadows for realistic visual dimension, are limited to drag-and-drop layouts, or will not create in high enough quality for printing. Some of these programs only allow the user to print through the manufacturer instead of printing at home or at your choice of photo developers. The mid-level basic scrapbooking programs give more advantages and flexibility in the creative process than the limited basic programs. These programs allow the scrapper to use digital scrapbooking kits from Sweet Shoppe Designs and create layouts with more advanced creativity. They do not open .psd files, but these programs will allow scrappers to use files that are in .png format. Memory Mixer 3, My Memories Suite, and GIMP are examples of programs in this level of software. GIMP is a free program. However, users complain that it is not user friendly for scrapbookers and very few tutorials exist for scrapbooking in this program. These programs do not have the full capabilities that most digital scrapbookers desire, so they often end up being a stepping stone to the higher level photo editing and scrapbooking programs. Full-featured scrapbooking and photo editing programs will give you amazing creative control and all the features a digital scrapbooker wants. These programs are considered the industry standard for digital scrapbooking and are true graphics software. All three programs are available for Windows based computers. Mac users will have to choose between the Adobe programs. These programs all are able to use the scrapbooking kits, fonts, and templates sold here at Sweet Shoppe Designs. Each of these three programs are popular and widely available, and each can be downloaded for a free trial. PaintShop Pro and Photoshop Elements often come bundled with printers, digital cameras, scanners, and new computers. Before you purchase any of these programs, check to see if you already have some graphics software. Scrapbookers at the Sweet Shoppe tend to favor the two Adobe products, with nearly 85% using some version of Photoshop or Photoshop Elements. There are many tutorials for these programs and the forum support for Adobe products exceeds any other program, so help is readily available when you are learning to digital scrapbook. Adobe Photoshop Elements is the more affordable of the Adobe software. Photoshop Elements is often abbreviated to PSE, followed by a number that designates the version of the program. (As of this article, the most current version of Elements is PSE10. It debuted in October 2011. Adobe releases a new version approximately every 18-24 months.) If you have an older version of PSE, it likely will be sufficient. Most of the tutorials will work no matter how old your version of PSE is. Even many tutorials for Photoshop can be used for Photoshop Elements with minor differences. Each version builds upon the last, offering new tweaks and features, but the core of PSE remains the same. PSE10 averages $75-100 (US price, price varies by retailer). Amazon.com offers it for $74.99. Costco offers it online and in store for $79.99 in an exclusive Costco pack that comes with a free disc of digital scrapbooking mini-kits from 10 designers including several Sweet Shoppe designers. (Disclaimer: I do not receive a penny for the purchase of any scrapbooking program, however I am one of the featured designers on the free disc in the Costco pack.) 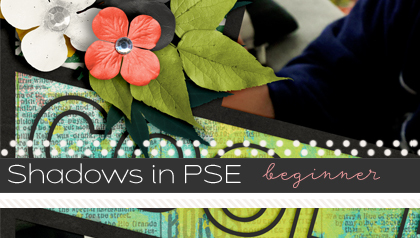 PSE is the perfect program for most digital scrapbookers. You can edit and enhance photos and make digital scrapbook layouts and projects with this software. A free trial version of Photoshop Elements 10 is available for download directly from the manufacturer. The expense of PS is fairly prohibitive for a beginning digiscrapper. PS CS5 averages about $670-$700 (US price, price varies by retailer). However, many people qualify for an “educational discount” from Adobe with which the prices are greatly reduced. Adobe educational discounts are generally available to students or teachers in public or private elementary school, secondary school, higher education, or homeschool. Throughly check the eligibility requirements before purchasing a product with the educational discount. Many digital scrapbookers are parents of students that qualify for the discount. The educational version of Photoshop CS5 averages about $199 (US Price, price varies by retailer). Adobe offers the educational pricing directly, but you can find some retailers that also offer it, such as AcademicSuperstore.com. Many of the questions you might have regarding the Student and Teacher editions can be answered in Adobe’s FAQ. Both PS and the educational edition of PS are the same full-version software. Many digital scrapbooking and photo editing tutorials are available for Photoshop, and this program will meet or exceed a digiscrapper’s needs. A free trial version of Photoshop CS5 is available for download directly from the manufacturer. PSP averages about $50 (US) for the standard edition and about $50-70 (US price, price varies by retailer) for the ultimate edition. Amazon.com offers the standard edition for $49, the ultimate edition for $50. Despite the affordability of this program, it is not widely used among scrapbookers. 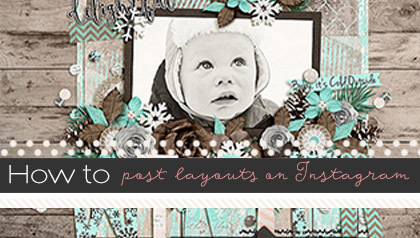 Although there are some tutorials, most scrapbooking tutorials are geared for the Adobe programs. This software does appear to be able to do most or all of what a digital scrapbooker would need, and many users will be happy with this program. A free trial version of Paintshop Pro x4 is available for download directly from the manufacturer. The general consensus among scrapbookers is that Adobe Photoshop Elements is the best program to start digital scrapbooking with. Many users never feel the need to advance to Photoshop CS because PSE meets their needs. The price is the most affordable of the Adobe graphics programs, and most tutorials are either written for PSE or can be easily adapted for the program. With the variety of tutorials and help available within the online scrapbooking communities, most users will be able to learn digital scrapbooking quickly with PSE. A digital scrapbooker will need a computer with sufficient hardware to run the software. Whatever program you choose, be sure to check the system requirements before you purchase the software. Your computer needs to have enough memory (RAM), enough hard drive space, and a compatible operating system. Most computers can have additional RAM added quite easily if they do not currently have enough RAM for the program. If your computer shuts down or seems sluggish while using these programs, you likely do not have enough RAM. Other hardware needs for a digital scrapbooker can include an external hard drive, a scanner, and a digital camera. Scrapbookers need pictures readily available and most use a digital camera to achieve that. If you are using a traditional film camera or have older pictures you wish to scrapbook, you may want to invest in a scanner. The scanner will allow you to scan the photos or memorabilia into your computer’s hard drive for use. Every digital scrapbooker needs hard drive space. You will need room on the hard drive for the scrapping program, for storing your digital photos, and for the digital scrapbooking kits. Some digiscrappers eventually outgrow their computer’s internal hard drive and add an external hard drive. An external hard drive or a scanner is not required for digital scrapping. However, you may find that you desire them at some point. Digital scrapbooking is a wonderful way to preserve memories and create beautiful projects for your family. Hopefully this overview of programs and hardware will start you on your way to a creative and fun hobby! I have several software programs installed on my computer incuding, PSE9, Photoshop 7, Paintshop Pro 11, the free programs Paint.net, and The GIMP. plus others. But far and away -the favorite for me is the discontinued (but available on Ebay) Microsoft Digital Image software program. It does much more than folks ever gave it credit for, and I love its ease of use. 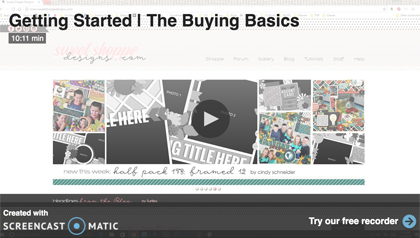 Creating Digital Layouts is fun and less frustrating than any other program I have tried. Photo editing features are extensive as well, Digital Image supports most (but not all) Photoshop Plugins. It does not support “Actions” -so for a few things that Digital Image can’t do, I do use features of the other programs. Currently I run my programs on a Windows 7 operating system. I will continue to “favor” MS Digital Image till the program no longer functions as I upgrade my computer in coming years. Many thanks for this information. I’ve only used the software from Stampin Up which is now discontinued. I wasn’t sure what to look for. I also was into digital scrapbooking and created many other projects on the former Stampin’ Up system. I am currently looking into Photoshop Elements after reading this post. Will it do any project as well? I have an iMac, but it is for family, but have the option to use it. I have a hp laptop that would dedicated to digital scrapbooking; however, it is older. What is your opinion on which I should use?